The UltraFit Sling Strap and 3-Way Camera Strap are recent additions to the Joby range. 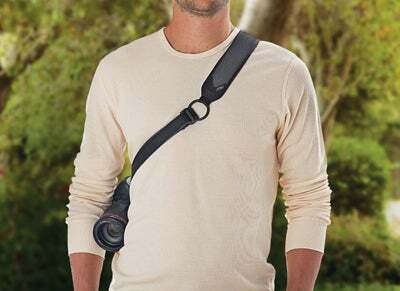 Joby has added the UltraFit Sling Strap and 3-Way Camera Strap to its line-up of photo accessories for photographers. Made for both male and female photographers, the Joby SpeedCinch system is designed to free up photographers hands and ensure the camera is as secure as it can be while shooting in busy environments. Constructed from stainless steel and a glass-filled nylon plastic to provide maximum durability, the camera is connected via a ¼ – 20″ accessory thread mount. 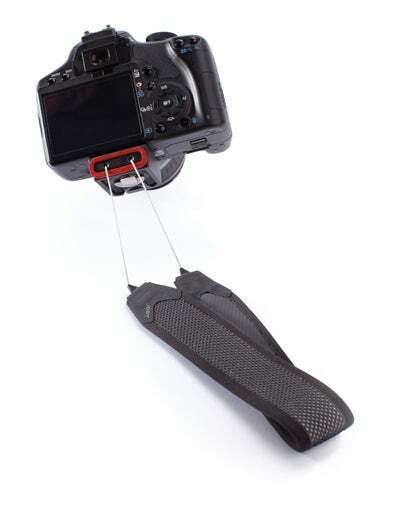 When the camera is required, the system has been designed to automatically extends the strap length in one fluid and fast motion – allowing the photographer to bring the camera to eye level in one easy movement. An example of this can be seen by watching the video on the Joby website. The Joby Ultra Sling Strap is expected to cost £41. The 3 Way Camera Strap is an alternative to the UltraFit Sling Strap. Offering photographers three wearing modes, this compact strap allows photographers to minimize muscle fatigue with multiple ways to support the camera. The 3-Way Camera Strap allows quick access to impromptu shots in wrist mode or a hands-free option to change lenses in neck/shoulder mode. The breakthrough design uses retractable Dyneema cord (which is 15 times stronger than steel wire!) to adjust the strap length and secure the camera in place. The Joby 3 Way Camera Strap is expected to cost £33.